Halloween has arrived and we loaded up on huge bags of candy, which I cannot stop reaching into when in need of a sugary treat. 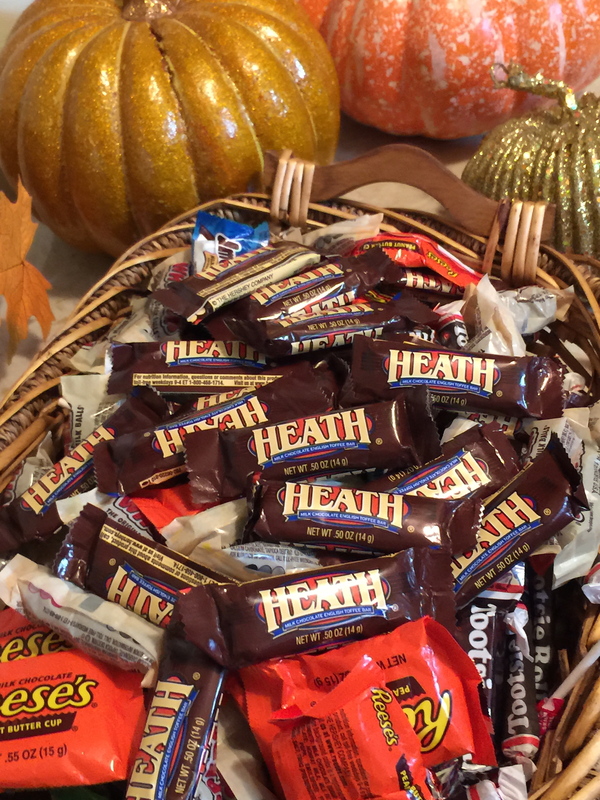 Getting Heath ready for tricks or treats was a labor of love by raking and blowing leaves into mountainous piles, trimming the liriope back from the walkway and setting out pumpkins. 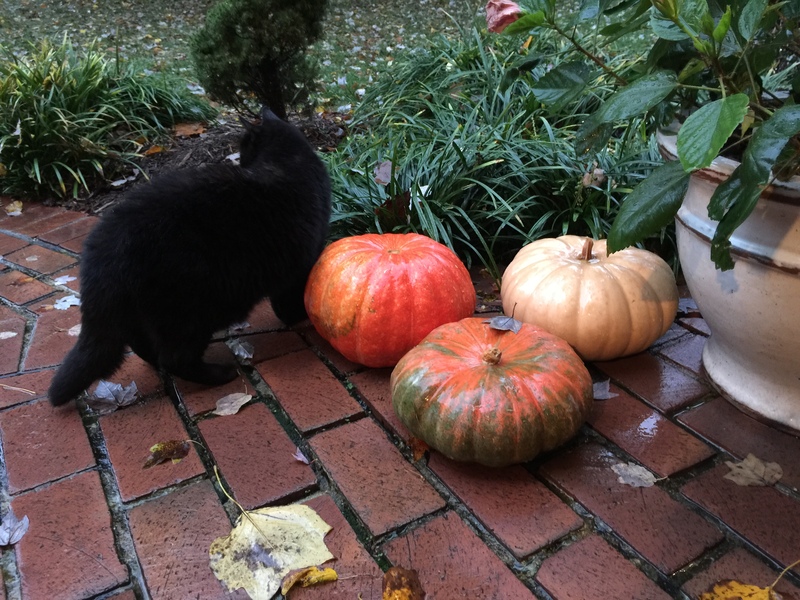 And as always, Malcolm the Cat finds a way of ingratiating himself into the photos as the pumpkins are being placed on the front of the house from the garden. 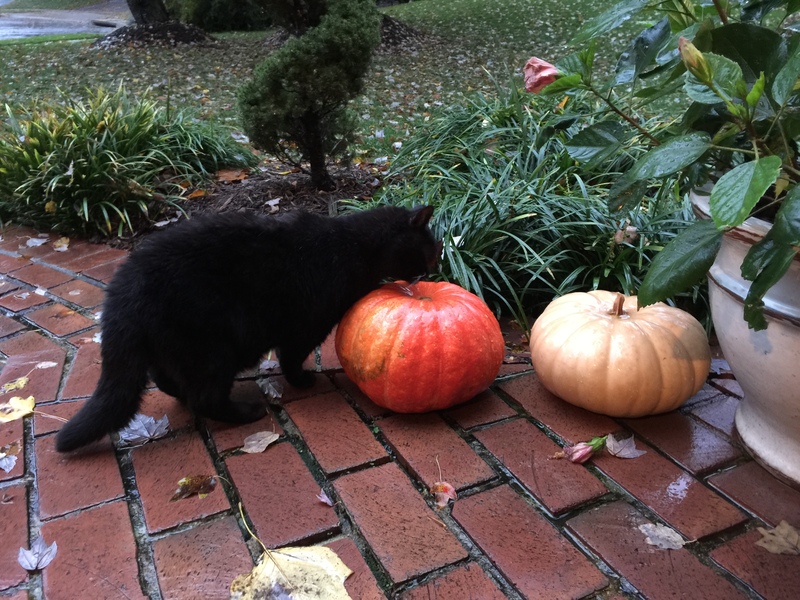 These pumpkins had rainwater on the tops that the cat could not resist drinking. 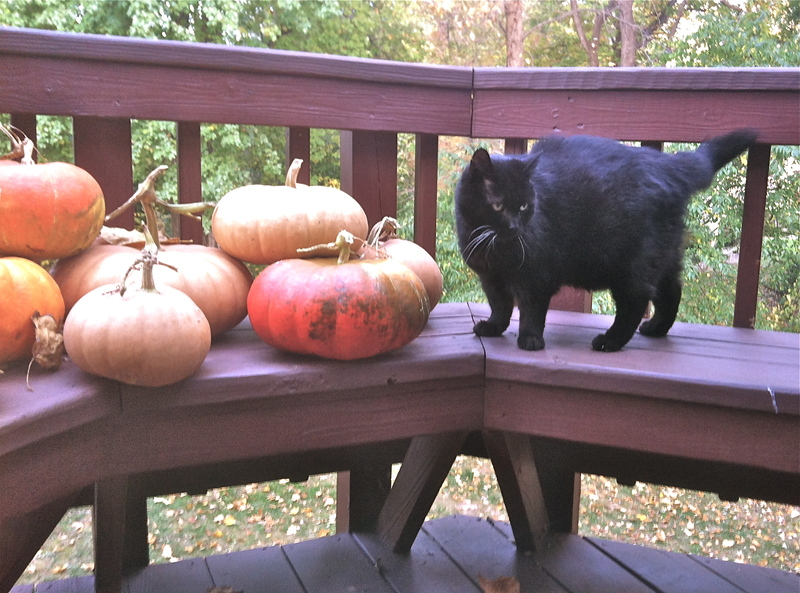 Malcolm the cat with freshly picked pumpkins from the garden!!! The family really pulled together to get the house ready for Halloween this year. Steve and Paul raked and mowed the lawn to get the pile of leaves off the walkway, drive and sidewalks so; the trick-or-treaters would have a clear path to the front door. Pumpkins were picked from the garden to decorate the entryway and leaves were selected to adorn baskets for candy. Maria and I have been giving out sweets to the most adorably costumed creatures, who have been banging the doors off the hinges for lollipops and chocolates. But the kids are so well mannered, remembering to say thank you for their treats and wanting us to have a good evening. To all Ghouls & Goblins have a Very Scary and Safe Halloween!! !